If you’re a skeptic about destiny, there’s a good chance you won’t be after this article. 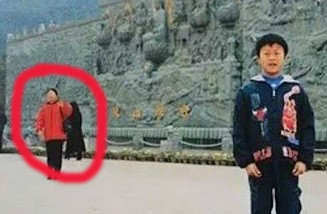 A couple in China were deciding which pictures to include in their upcoming wedding when they came across a childhood photo of future husband Hedong Zhang on holiday. 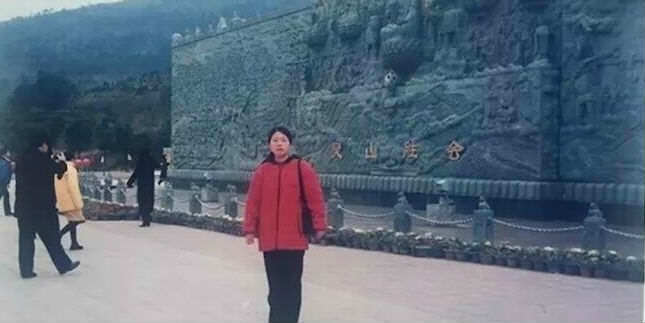 Zhang visited the Giant Buddha statue at Ling Shan Mountain in 2000, when he was 14. But when his then-fiancée looked closer at the photo, she recognised a woman in a red coat in the background. It turned out to be her mother. You can even see a woman dressed in all black passing by in both photos. Turns out the picture was taken 15 years before the couple met. It just so happened that they had also kept the ticket stubs from the trip and the dates matched, further confirming the crazy coincidence. Moreover, both families had used the same bus company and traveled in the same bus to the site. The couple, who ended up telling the unlikely story to their wedding guests, say the photo, which is now 16 years old, is proof of their relationship was meant to be, the Huffington Post reports. My husband said, ‘Although we didn’t know each other then, the skies must’ve planned this for us 16 years ahead of time.’ With this incredible story, we’ll cherish our love even more.